Best Places To Camp In Arizona: Awesome Things You Should Know! With so much open space and beautiful scenery to be seen in Utah, it contains a wealth of incredible camping locations. 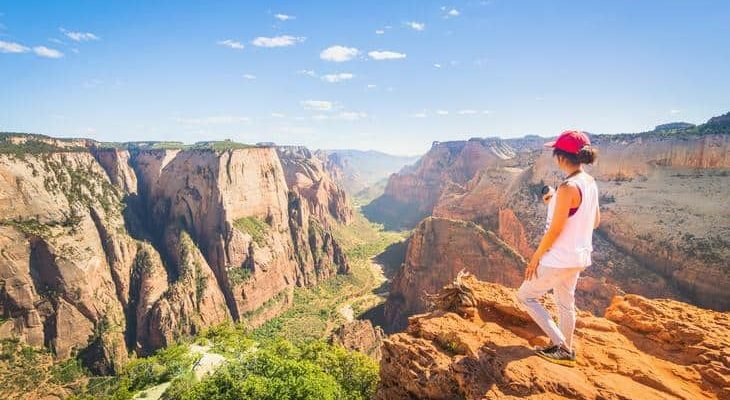 Utah’s many State and National Parks rank among the best in the country, offering something for campers, backpackers, and day-trippers of all ages and skill levels. We’re here to help you make the most of your camping experiences and, with this in mind, have compiled a list of the best places to camp in Utah. For additional information, don’t hesitate to check out Utah.com, which covers everything you need to know when planning your next camping trip. And follow our thread to know more awesome places to camp in the U.S. Located not too far west of Utah’s Capitol Reef National Park, which is another excellent camping spot that didn’t quite make our list. That being said, Capitol Reef is worth checking out. Boulder Mountain itself is a fantastic camping location. 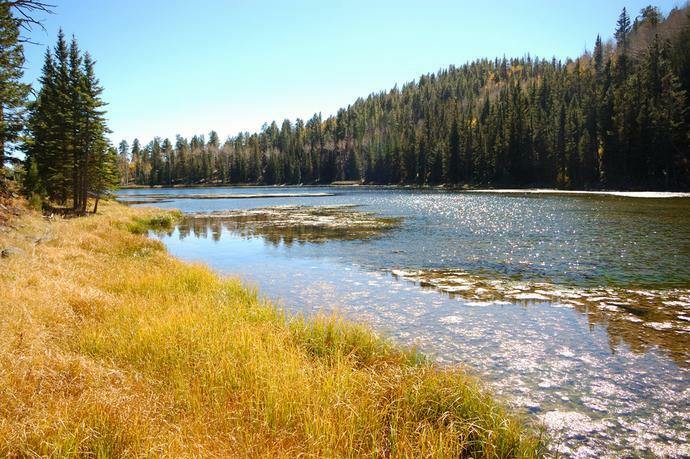 Containing around 80 small lakes, mainly used as fisheries, the area is perfect for anglers and backpackers alike. The largest of these is Blind Lake, which spans 52 acres and is 52 feet at its deepest point. Covering 50,000 acres of exceptional forestland and is the highest forested plateau in the US. Boulder Mountain’s highest peak, Blue Bell Knoll, stands at 11,313 feet above sea level, with the entire area providing spectacular views of the surrounding countryside. Getting to the mountain is achieved via a number of routes, with Byway 12 offering the best views, but stopping off at Loa’s ranger station to check on road conditions before heading out is always advised, just in case. Furthermore, Highways 12 and 24 are open year-round except when storms pose a threat. Winter months see heavy snowfall, with road becoming somewhat dangerous. Some found at higher elevations do not clear until mid-June, which is worth keeping in mind. Goblin Valley State Park gets its name from its unique hoodoos, which are rock spire formations that, in this case, look very much like goblins. 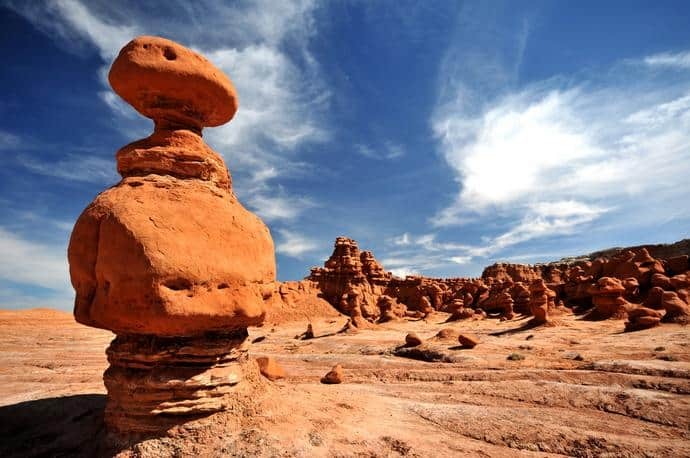 Just 216 miles southeast of Salt Lake City and not far from Hanksville, Goblin Valley is one of Utah’s most popular state parks. The most direct route is via Highway 24, just off the I-70. Accessible year-round, the area can become quite hot during summer days, with nights hovering around zero in the winter months. Goblin Valley’s main campsite area is suitable for all vehicles, including RVs up to 59 feet, with reservations available at ReserveAmerica. Boasting expansive hiking, biking, and ATV trails. The park also features an incredible overlook with breathtaking views. Goblin park’s visitor’s center is open from 8-5 every day of the year, with some brief closures during winter months. Season passes are also available for $75, with seniors passes costing $35. Day passes are also available for $10 per vehicle, with seniors passed being $5 (last checked in Sept 2017). This destination is packed full of exciting activities and sights, with much more to offer than you will probably be able to get through in one trip. 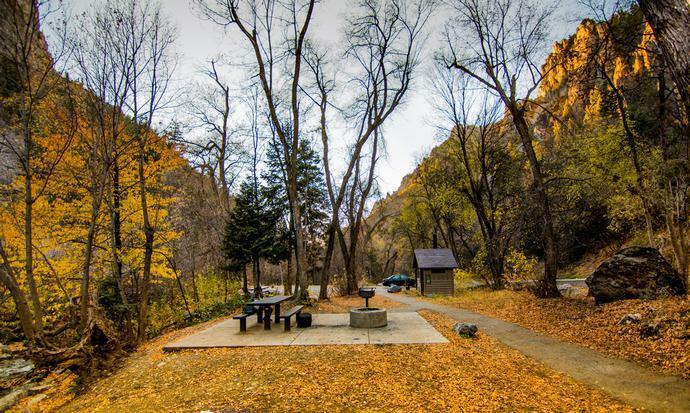 A very popular camping location, American Fork Canyon sees roughly 1 million visitors per year. It’s perfect for families with children and fees are incredibly reasonable. A day pass can be purchased for $3 per vehicle, with a 7-day pass costing $12 and season passes available for $45 (last checked in Sept 2017). These fees go directly back into improving and maintaining the park itself, with ‘America The Beautiful - Interagency Recreation’ passes also being accepted. 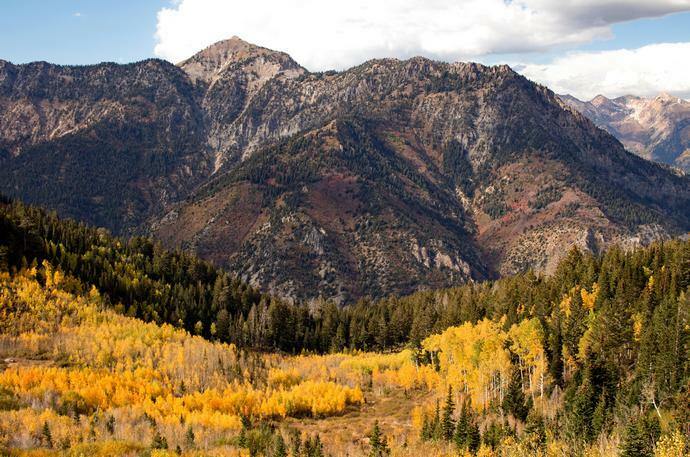 The park can be reached by taking Exit 284 off I-15 and one of its most popular attractions is the amazingly scenic Alpine Road (State Road 92), which offers breathtaking views of the area. It is open to vehicles during the warmer months and offers exceptional snowshoe and snowmobile use in the winter. Utah’s oldest national park, Zion National Park is a perfect location for hikers and backpackers of all skill levels. 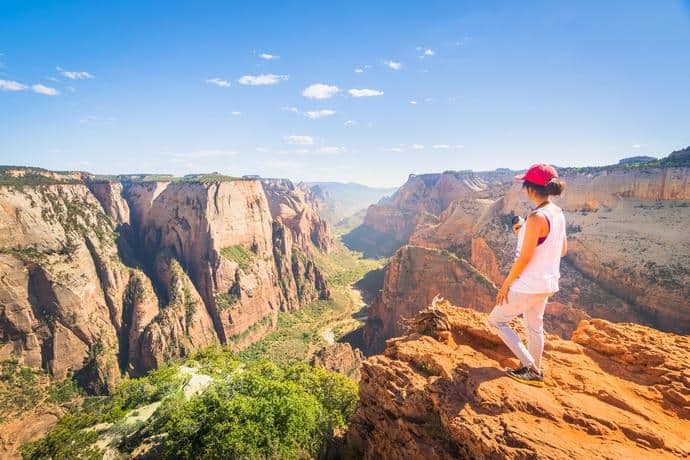 Featuring spectacular waterfalls and the impressive Emerald Pools hiking trails, among many others, Zion has something for the entire family. Angel’s Landing, only suitable for experienced hikers or backpackers offers stunning views of the entire area, with most visitors taking around 4-5 hours, round trip. Zion’s Kolob Canyons are also incredibly important to the Mormon faith, with the site being revered as being one of the closest points to God’s throne, according to scripture. 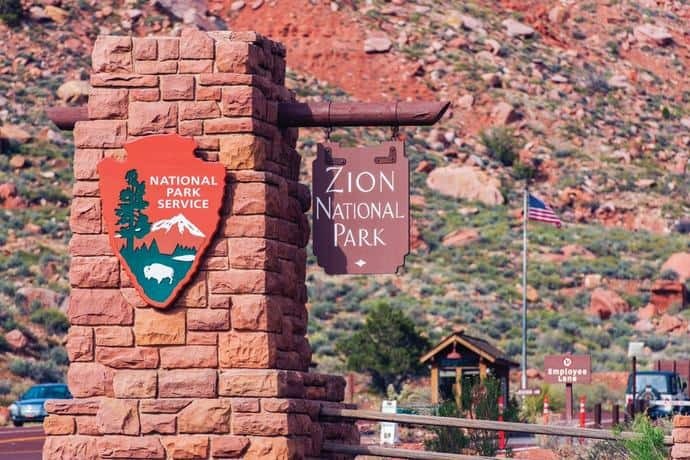 It goes without saying the Zion National Park is Utah’s most popular state park, maintaining over 3 million visitors per year. To make travel between the park’s many attractions easier for visitors, Zion also offers an eco-friendly bus service, the Zion Canyon Shuttle. The park maintains a fleet of shuttles, with time between each shuttle being only a six-minute wait. Many of the park’s peak and features are throwbacks to the Triassic era, meaning a visit to Zion is akin to literally stepping into the past. If roughing it isn’t quite your style, Wasatch Mountain State Park is a prime location for you to take on the outdoors. A well-rounded range of attractions cover all of your hiking and camping needs, while also including golf and horseback riding. Open year-round, the winter months offer amazing snowmobile, snowshoe, and cross country skiing trails to keep you busy. In addition to all of this, 122 camping areas are located parkwide, with amenities like showers, restroom, and charging stations/outlets. 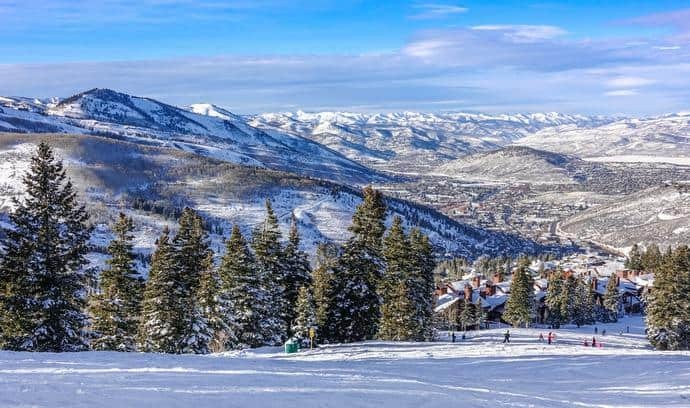 Home of the 2012 Olympic Winter Games, the facilities remain on-site at Soldier Hollow and are perfect for families with children. Spanning 21,592 acres, Wasatch Mountain State Park is one of Utah’s most inviting camping areas, offering something for absolutely everyone. Consider carrying following things for your happy trip. Good preparations will make your trip more comfortable. I hope that you enjoyed our list outlining our favorite places to camp in Utah. With so much to offer, Utah has more than enough parks and campgrounds to keep you thoroughly entertained. Each of these is a spectacular environment, allowing you to completely immerse yourself in the outdoors or take a relaxing vacation while still retaining the creature comforts of home. As always, don’t forget to bring quality gear while camping to make the most of any trip! If you have any additional information or want to share your favorite camping spots in Utah, feel free to leave a comment below. Likewise, if you enjoyed our list make sure to share it with your friends! I'm Lina Ho, a young blogger loves outdoor travel. Via LinasJourney.com, I wanna share amazing things I found during my journeys. I also believe you can find tons of useful tips on outdoor activities (camping, hiking, etc) from my blog.